Airbus is closing a decision to ax production of the world's largest airliner and can give update with full-year earnings on Feb. 14, industry sources and analysts said. PARIS: Airbus is closing a decision to ax production of the world's largest airliner and can give update with full-year earnings on Feb. 14, industry sources and analysts said. The fate of the A380 superjumbo has been in doubt since a vital order from Emirates foundered over inconclusive engine talks, forcing Airbus and the airline to weigh up an alternative plan that would trigger a premature halt to A380 production. Under the proposed reshuffle, first reported by Reuters, Airbus hopes to broker a deal that would see Emirates switch part of its order to smaller models like the A350 or A330, while extending a few of the last A380 orders from British Airways. The timing of any final announcement may be driven by the outcome of those talks, but Airbus will be under pressure to provide some clarity on its plans in time for the Thursday's earnings following mounting speculation over the future of the plane. 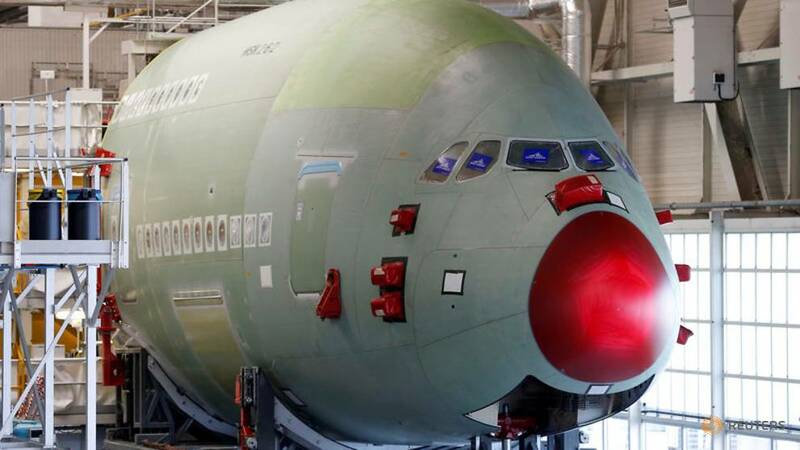 "The A380 is the elephant in the hangar, it will be impossible to avoid saying something on the subject," said Sains Tusa, agency partners analyst, who predicted last week that a decision to close the loss-making program may be imminent. Any decision to pull the plug on the iconic European double decker after just 12 years in service must be approved by the Airbus board, which meets on Wednesday. Airbus declined to comment on Thursday's earnings.